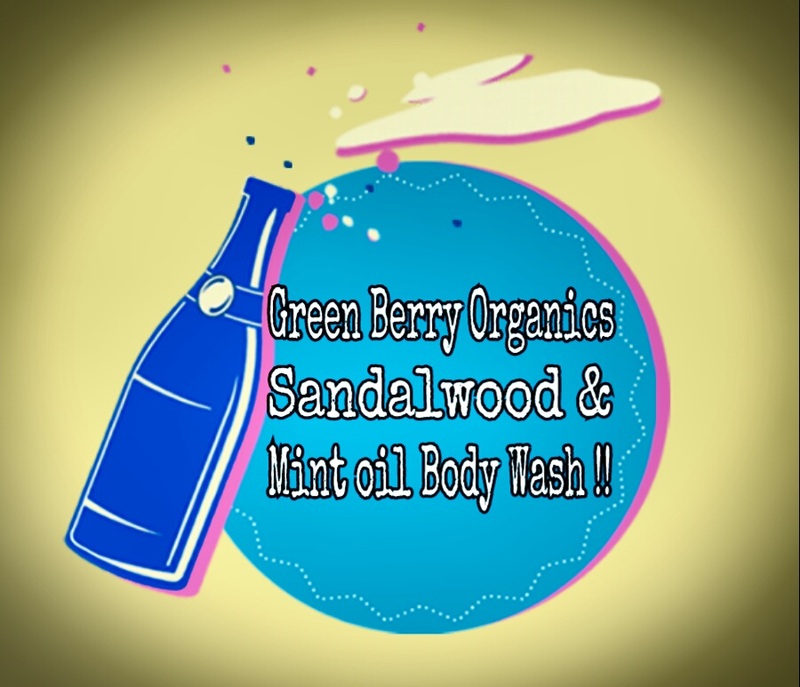 Sandalwood And Mint Oil Body Wash From Green Berry Organics !! How You All Are Doing Friends ??? I Know It’s Too Hot To Handle Outside !! But Don’t You Worry , I Have Some Kickaas Way To Turn up the cool & ” Beat The heat ” ☀☀???? !! As Our Scorching Sun Is Raising It’s Levels , Let’s Forget The Heat & Indulgence In Some Icy Cool Luxurious Bath !! It’s ” Sandalwood And Mint Oil Body Wash !! is known for its 100% natural and organic products !! So Let’s Get Started With The Detailed Description !! How These Ingredients Work for our Skin ?? Sandalwood oil helps in getting a brighter, non irritant skin, prevents bacterial infection & prevents inflations n spasms !! Fights excessive sweating ✔ !! Love The Way How This Brand Gives Detailed Description About the each & every product on their packaging !! It’s Smells Amazingly Awesome & Refreshed, Leaving my Skin Moisturised & Cleaned !! ???? It Retails For Rs. 599/- ,Comes In A 200ml Plastic Pump Bottle & Must Say the Packaging Is So Neat !! ????? This Icy Cool Product Is Now A Must Part Of “My Summers Daily Essentials” !! I Love This product like Waaooohhh & I’m Looking Forward to Try each and every product of this Brand Soon !! ??? They Are Easily Available on Amazon As It’s One The Best Selling Brand Their !! I’m Sure You’ll Fall In Love !!! ??? Take Of Yourself & Keep Pouring Love like Always !!! #greenberryorganics #bodywash #refreshment #refreshingtime #showergels #ｓｈｏｗｅｒｔｉｍｅ?? #showertreat #musttryproduct #sandalwoodandmintoil #prfriendly #ProductReview #delights #deliveryatmydoorstep #amazonsbestseller #sweetsunshineblog #instapost #instalike #picoftheday #happyevenings ?? Wow Monika….this is great sounding product!!! ?